Start taking classes at 8th Limb Yoga and other studios! 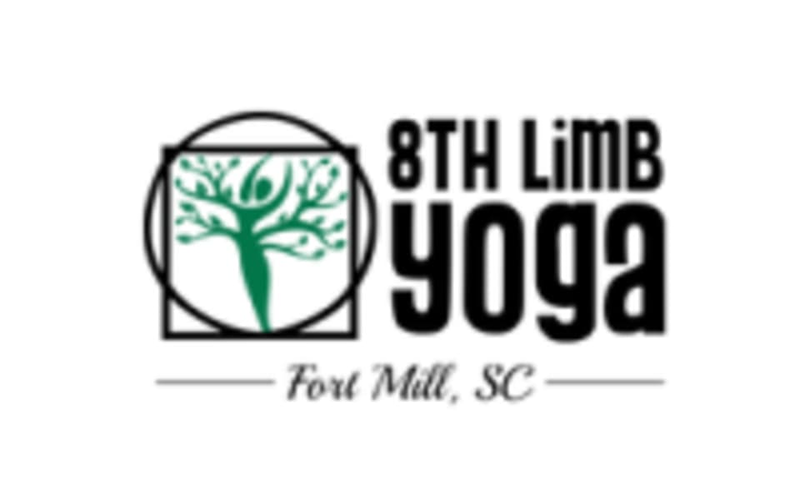 8th Limb Yoga is a small and locally owned boutique style studio in Fort Mill, SC. Their classes are small and their goal is to give focused and personalized attention to our students in order to grow and develop individual practices. 8th Limb Yoga is a studio designed with the student's development specifically in mind! Wear comfortable workout clothing that you can move freely in. Bring a mat if you have one! 8th Limb Yoga is located at 1515 Onyx Ridge, Suite 106 in Fort Mill, SC. Alisha is an amazing being. Her studio is beautiful and quaint but offers above and beyond, clean, opened, calm space with very personal details like fresh water, amenities in the bathroom and strong/correct hands-on assists (my favorite), along with yummy aromatic eye masks (differing for each class). I think beyond all of the things Alisha offers my true awe comes in that she teaches each class, all leaves, she is so present with us. HIGHLY RECOMMEND! !